On this National Puppy Day we are pleased to share photos of Lincoln, our puppy in assisted pet therapy training. Lincoln is now 9 1/2 months old with a chocolate lab mother and unknown dad. He, his siblings and mother were all abandoned when the pups were a week old. 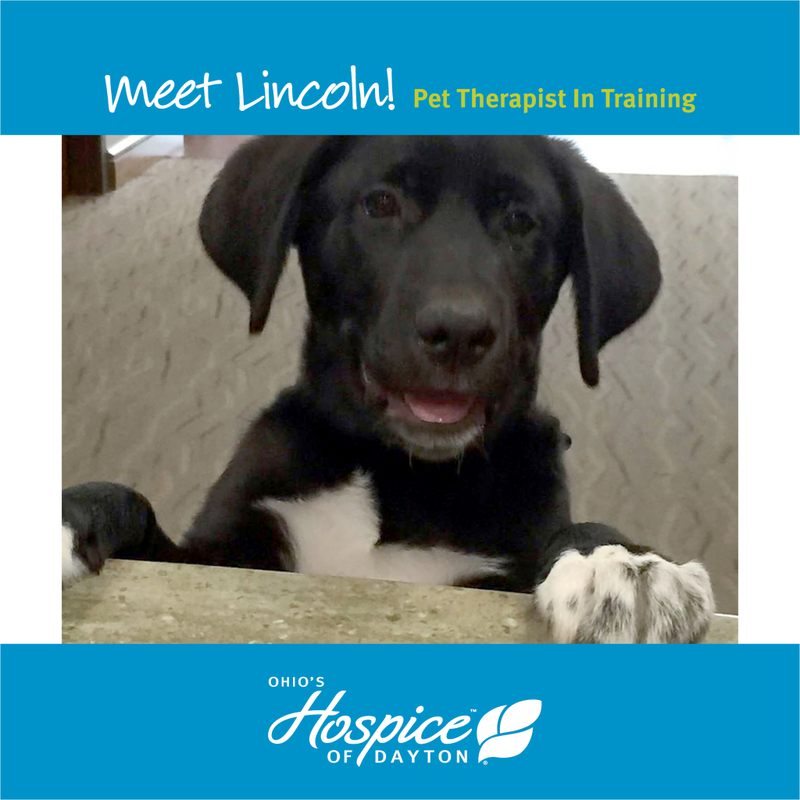 A member of the Ohio’s Hospice staff adopted Lincoln, who has graduated from puppy kindergarten. 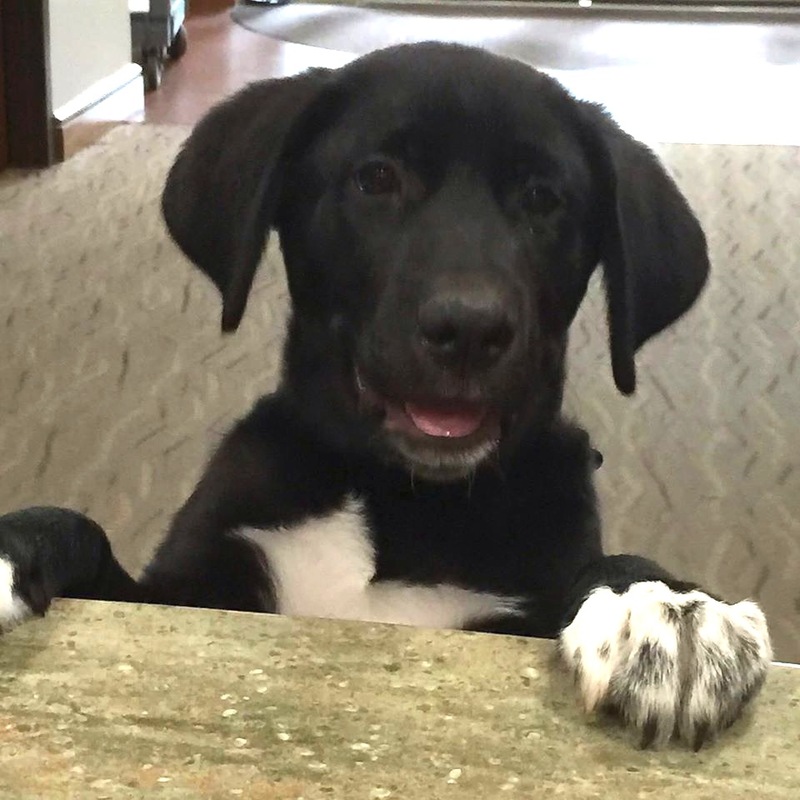 “He is a fun loving, people loving goofball,” says his owner. Both are looking forward to joining the pet assisted therapy team visiting hospice patients. 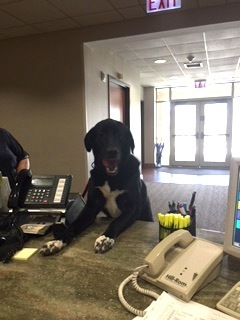 Like all pet assisted therapy dogs at Ohio’s Hospice, Lincoln and his owner will be required to complete a training program and become certified before interacting with patients. Pet assisted therapy enriches the quality of life for hospice patients and families. Physical contact with animals is known to reduce anxiety, lower blood pressure and bring comfort to patients. Enjoying time with an animal can help reduce physical and emotional pain, ease loneliness and encourage movement. Dogs have the ability to bring back pleasant memories and a sense of normalcy for patients, visitors and family members. 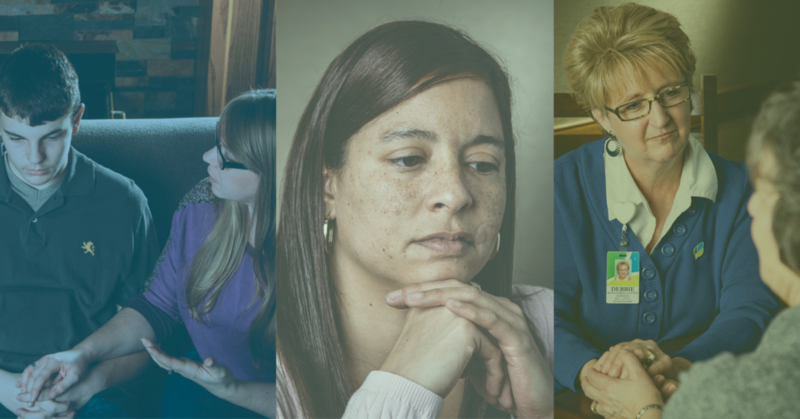 A 2013 study reported that dementia patients who were provided pet therapy over a ten week period experienced a slower progression of symptoms including agitation, aggression and depression. 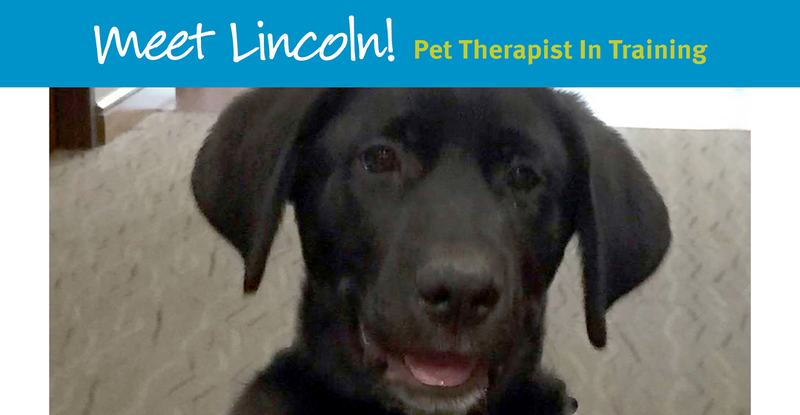 Once certified, Lincoln will join our other pet assisted therapy dogs in lighting up the lives of our patients and their families – proving that puppies are good medicine. Below are pictures of Lincoln at 4 months and now at 9 1/2 months. We can’t wait to see how big he will be when he is fully grown!